The pendulum is perhaps the simplest experimental devices ever constructed, and yet for all its simplicity it has historically enabled scientists to both investigate and enumerate gravity; the fundamental force that shapes the very universe. The pendulum has also allowed astronomers and geologists to measure the motion, mass and distribution of matter within the Earth, and its stately swing is at the very heartbeat of time. 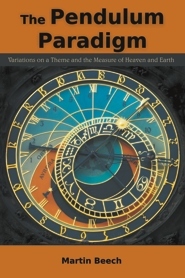 This book explores the many applications of the pendulum, from its employment as a fundamental experimental device, such as in the Cavendish torsion balance for measuring the universal gravitational constant, to its everyday, practical use in geology, astronomy and horology. Martin Beech is full professor of astronomy at Campion College, the University of Regina.